From pre-schools to Universities, and all levels in between, educational facilities require janitorial and custodial services that address the high-volume, high-touch environments where the health and safety of students are paramount. 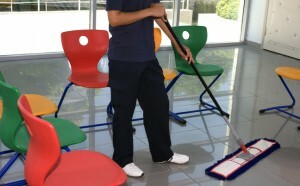 Vanguard Cleaning Systems® has been providing school cleaning services since 2007 in Canada, and can tailor the cleaning program for your institution. Ask your local Vanguard Cleaning Systems team to show you how microfibre cloths, high-filtration vacuums, and advanced cleaning techniques can help in the maintenance of your high-usage academic facilities.